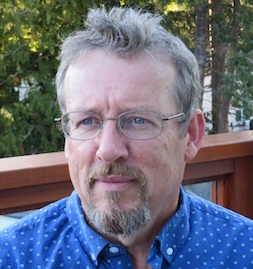 Brian Preston is an award-winning nonfiction writer who has been published in such magazines as Rolling Stone, Details, and Vogue. His nonfiction book Pot Planet was a bestseller in Britain. The New Yorker called it “gimlet-eyed and often hilarious.” He broke a rib writing his next book, Me, Chi, and Bruce Lee: Adventures in Martial Arts from the Shaolin Temple to the Ultimate Fighting Championship. He lives quite happily on the west coast of Canada, where for the last while he’s been a stay-at-home dad looking after the kids and writing fiction. He has published two novels, All the Romance a Man Can Stomach and The Body Abroad, both of which are commercial fiction with paranormal elements. He’s at work on the next. Brian has an MFA in creative writing from the University of British Columbia. His literary idols are Alice Munro, Primo Levi, and especially Anton Chekhov, for his ability to create a world in a paragraph. In the nonfiction realm he admires the work of Jon Krakauer, David Quammen, John McPhee, and Barbara Ehrenreich, among many other writers who recognize that structure and storytelling are just as important in nonfiction as in fiction. When reading heavy, difficult subjects, he appreciates an occasional bit of levity, and agrees with Shakespeare that brevity is the soul of wit. He looks forward to helping guide writers through the pain and pleasure of putting words on a page.